This is the first of a series of blog posts about different strategies that will help you make changes to your diet and lifestyle. While we may have a diet all planned out, the kitchen stocked and know what we should be doing, sometimes our head gets in the way and the thoughts we have can sabotage our plans. 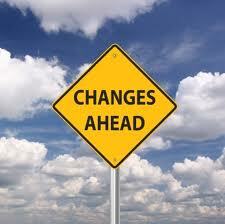 So each week, we'll look at a different strategy for coping with changes. We'll try and figure out what to say to ourselves, when we have sabotaging, unhelpful thoughts. To start off, we'll look today at how to motivate yourself daily. You can start using this even before you make any diet and lifestyle changes. Its all about reminding yourself of why you want to lose weight or increase exercise or stop smoking/drinking or.....whatever change you are contemplating. To combat these thoughts or visual temptations, you need to have a written compelling list of reasons as to why you are making these changes. And then you need to read this list regularly several times each day. Whatever your reasons are for making the changes you want to make, write them out on one or more index cards. List them all. 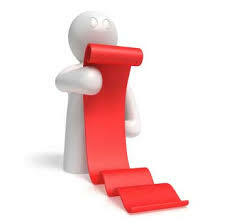 Using an index card means that they are all listed on something small enough that you can carry with you. You can put it in a pocket, or a purse or handbag. When you've done this - read the card every morning before you have breakfast to create a reminder for the day ahead. As you read them, think about achieving every advantage. Reading actually makes you reflect more, rather than just recalling them in your head - so take that minute or two and read through each one. If other advantages occur to you, add them to the list as the days go by. Now you need to read them again at least once or twice during the day, so consider putting reminders like a sticky note in the kitchen or bathroom or in the car, saying something like "take 30 seconds". This will act as your reminder to read the list again, and reinforce your motivations. You may find yourself resisting reading the cards, but use those reminders and take those few seconds, as the more you do it, not only do you continue to motivate yourself, but you will also build your self-discipline. Go find some index cards now and start writing your "Advantages Card". The feature film Forks over Knives was released two years ago this week. Have you seen it yet? It is a very powerful film and seems to really get people thinking - and subsequently changing their diet and lifestyle. It examines the claim that most, if not all, of the chronic degenerative diseases can be controlled or even reversed by rejecting animal-based and processed foods. You can watch the movie on iTunes ($9.99) or on Amazon($3.99), or if you are a Prime Amazon customer, it is free to watch. I urge you to watch this film. 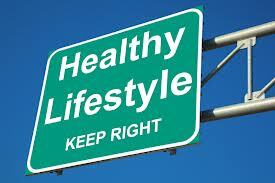 It can not only change your life, it could actually save your life - allowing you to live longer and healthier. How refreshing! Publix supermarket - (a supermarket in the south of US which we used to go to when we lived in Florida), have been offering money off coupons at their stores for produce! I don't think I've ever seen that before. Normally the food coupons you get stuffed in your Sunday newspaper give money off highly processed foods. But these latest coupons are for any fruits or vegetables, including organic produce. 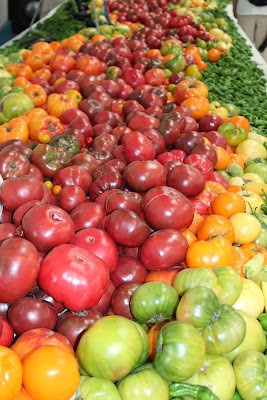 A great way to encourage people to eat more fruit and vegetables and less processed foods. I hope some other supermarkets follow their example. Well done Publix.